Bath is such a vibrant place to visit whether catching up with friends or for corporate entertaining. We are only too happy to bring our wine tastings to you beside the seaside. So whether you’re at home, away with friends or providing corporate entertainment for colleagues or clients we have a number of different wine tastings packages to suit you , but the most important element is having fun. All from ThirtyFifty the award winning tasting company. If you are looking to go out for your wine tasting we have worked with a number of venues in Bath that we are happy to recommend. The list below highlights our most popular wine tasting venues. To see our full list of venues across the country please go to our venues page. 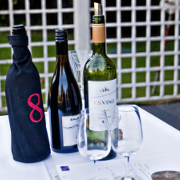 We run regular day and evening wine tastings in wine tastings in Bristol. These are either Tuesday/Wednesday evenings with light platters or all day Saturday with lunch included. If you are willing to travel a bit further then we offer great value weekend wine tasting breaks in Market Bosworth, not far from Coventry. All our day, evening or weekend courses make brilliant gifts. Typically we charge £20 travel costs for Bath, but this is subject to availability, so it's worth booking early to avoid missing out. To organize your first tasting contact us and set a date!